(& 2x 10gbe SFP ). Dell Equallogic. 24x 1TB 7.2K NL SAS DELL Original. We buy retired EMC, Netapp, and Dell Storage! Ask for Nick. Specializing in Netapp, Dell, EMC, IBM, HP and many more products lines. Dell EqualLogic PS6210E 24x 3.5" LFF Hard Drive Option 24x 2TB NL SAS 6Gbps Hot Swap Drives 2x Type 14 Controllers 2x 10GB RJ45 2x 10GB SFP Port 1x Mgmt Port 2x 1080W Power Supplies Rail Kit Included Front Bezel Included 2x Power Cords, & 1x Console Cable 2 Year NBD Parts Replacement Warranty. 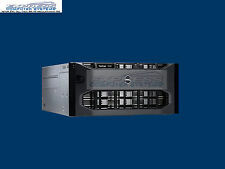 Dell PowerVault MD3000i. (15) Dell 1TB 7.2K NearLine SAS. Specializing in Dell, NetApp, Cisco, EMC, EqualLogic and HP. We provide turnkey solutions for your Dell needs and all necessary cables, rail kits, and power cords you need to complete your installation right away. Model: Dell PowerVault MD3200i. Hard Drive(s): 12 x 1.2TB 10K Genuine Dell Enterprise SAS 6Gb/s Drives. Bezel: Included. 15x 1TB Drives 1x 250GB Drive. 3x DELL K3GGP 9YZ164-236 ST1000NM0011 1TB 7.2K SATA. 9x DELL K3GGP 9JW154-536 ST3100524NS 1TB 7.2K SATA. 1x DELL 47F61 1TB 7.2K SATA. 2x DELL K3GGP 9CA158-180 ST31000340NS 1TB 7.2K SATA. Hard Drives: 24 x 600GB 6Gb/s 10K SAS Hot Swap Drives. EMM Module: Dual Redundant SAS EMM Modules. Integrated Features: 2 x SAS Cables, Power Cables. All of our products are tested and built to custom specifications. Integrated Features: Power Cables, 2 x 1M 1GbE SFP to SFP iSCSI Cables, Front Bezel. Hard Drives: 14.4TB (24 x 600GB) 6Gb/s 10K 2.5" SAS Hot Swap Drives. All of our products are tested and built to custom specifications. Hard Drives: 15TB (25 x 600GB) 2.5" 10K RPM 6G Dual Port SAS Hot Swap Drives. All of our products are tested and built to custom specifications. The comprehensive solutions include high-quality refurbished and new hardware, system and application software, and an array of in-depth managed services. All of our products are tested and built to custom specifications. Integrated Features: Power Cables Included. Our Quality. Hard Drives: 24 x 600GB 10K 6Gb/s RPM 2.5" SAS Hot Swap Drives. All of our products are tested and built to custom specifications. The comprehensive solutions include high-quality refurbished and new hardware, system and application software, and an array of in-depth managed services. Hard Drives: 15TB (25 x 600GB) 2.5" 10K RPM 6Gb/s Dual Port SAS Hot Swap Drives. All of our products are tested and built to custom specifications. The comprehensive solutions include high-quality refurbished and new hardware, system and application software, and an array of in-depth managed services. Hard Drives: 24 x 600GB 10K RPM 6Gb/s 2.5" SAS Hot Swap. All of our products are tested and built to custom specifications. The comprehensive solutions include high-quality refurbished and new hardware, system and application software, and an array of in-depth managed services. Hard Drives: 15TB (25 x 600GB) 2.5" 10K RPM 6Gb/s SAS Hot Swap. The comprehensive solutions include high-quality refurbished and new hardware, system and application software, and an array of in-depth managed services. Hard Drives: 15TB (15 x 1TB) 7.2K SATA Hot Swap Drives. The comprehensive solutions include high-quality refurbished and new hardware, system and application software, and an array of in-depth managed services. Hard Drives: 30TB (15 x 2TB) 7.2K SAS Hot Swap Drives. Integrated Features: 2 x SAS Cables, Power Cables. The comprehensive solutions include high-quality refurbished and new hardware, system and application software, and an array of in-depth managed services. 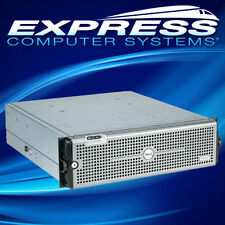 Dell PowerVault MD3000i iSCSI SAN Array 15 x 1TB SAS, Free 3 Year Warranty! Hard Drives: 15TB (15 x 1TB) 7.2K SAS Hot Swap Drives. The comprehensive solutions include high-quality refurbished and new hardware, system and application software, and an array of in-depth managed services. Hard Drives: 15TB (15 x 1TB) 7.2K SATA Enterprise Hot Swap Drives with Interposers. The comprehensive solutions include high-quality refurbished and new hardware, system and application software, and an array of in-depth managed services. Hard Drives: 15TB (15 x 1TB) 7.2K SAS Hot Swap Drives. Integrated Features: 2 x SAS Cables, Power Cables. The comprehensive solutions include high-quality refurbished and new hardware, system and application software, and an array of in-depth managed services. Hard Drives: 24 x 600GB 10K RPM 6Gb/s 2.5" SAS Hot Swap Drives. All of our products are tested and built to custom specifications. The comprehensive solutions include high-quality refurbished and new hardware, system and application software, and an array of in-depth managed services. Hard Drives: 24 x 600GB 6Gb/s 2.5" 10K SAS Hot Swap Drives. Integrated Features: 2 x SAS Cables, Power Cables. The comprehensive solutions include high-quality refurbished and new hardware, system and application software, and an array of in-depth managed services. Hard Drives: 14.4TB (24 x 600GB) 10K 6Gb/s SAS 2.5" HDDs. All of our products are tested and built to custom specifications. Our Quality. The comprehensive solutions include high-quality refurbished and new hardware, system and application software, and an array of in-depth managed services. Hard Drives: 24TB (40 x 600GB) 2.5" 10K RPM 6Gb/s SAS Hot Swap. The comprehensive solutions include high-quality refurbished and new hardware, system and application software, and an array of in-depth managed services. Hard Drives: 24TB (40 x 600GB) 3.5" 7.2K RPM 6Gb/s SAS Hot Swap. Our Quality. The comprehensive solutions include high-quality refurbished and new hardware, system and application software, and an array of in-depth managed services. 24x 3Tb 7.2K SAS Hard Drives Installed, Dell EqualLogic Enterprise Plus. Disregard picture of stickers that say 1TB they will be blank. 24x 1Tb 7.2K SAS Hard Drives Installed, Dell EqualLogic Enterprise Plus. Dell EqualLogic PS6210E 24x 3.5" LFF Hard Drive Option 24x 1TB 7.2K NL SAS 6Gbps Hot Swap Drives 2x Type 14 Controllers 2x 10GB RJ45 2x 10GB SFP Port 1x Mgmt Port 2x 1080W Power Supplies Rail Kit Included Front Bezel Included 2x Power Cords, & 1x Console Cable 2 Year NBD Parts Replacement Warranty. Dell EqualLogic PS6210E 24x 3.5" LFF Hard Drive Option 24x 3TB NL SAS 6Gbps Hot Swap Drives 2x Type 14 Controllers 2x 10GB RJ45 2x 10GB SFP Port 1x Mgmt Port 2x 1080W Power Supplies Rail Kit Included Front Bezel Included 2x Power Cords, & 1x Console Cable 2 Year NBD Parts Replacement Warranty. Dell Equallogic. 24x 2TB 7.2K NL SAS DELL Original. We buy retired EMC, Netapp, and Dell Storage! Ask for Nick. Specializing in Netapp, Dell, EMC, IBM, HP and many more products lines. We provide turnkey solutions for all your needs. Dell Equallogic. 24x 3TB 7.2K NL SAS DELL Original. We buy retired EMC, Netapp, and Dell Storage! Ask for Nick. Specializing in Netapp, Dell, EMC, IBM, HP and many more products lines. We provide turnkey solutions for all your needs. 24x 4TB 7.2K NL SAS DELL Original. Dell Equallogic. We buy retired EMC, Netapp, and Dell Storage! Ask for Nick. Specializing in Netapp, Dell, EMC, IBM, HP and many more products lines. We provide turnkey solutions for all your needs. Hard Drives: 15TB (25 x 600GB) 2.5" 10K RPM SAS Hot Swap Drives. The comprehensive solutions include high-quality refurbished and new hardware, system and application software, and an array of in-depth managed services. Dell PowerVault MD3000i iSCSI SAN Array 15 x 1TB SATA, Free 3 Year Warranty! 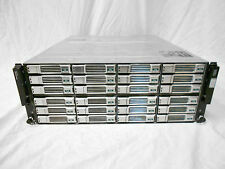 Hard Drives: 24 x 600GB 6Gb/s 10K 2.5" SAS Hot Swap Drives. The comprehensive solutions include high-quality refurbished and new hardware, system and application software, and an array of in-depth managed services.